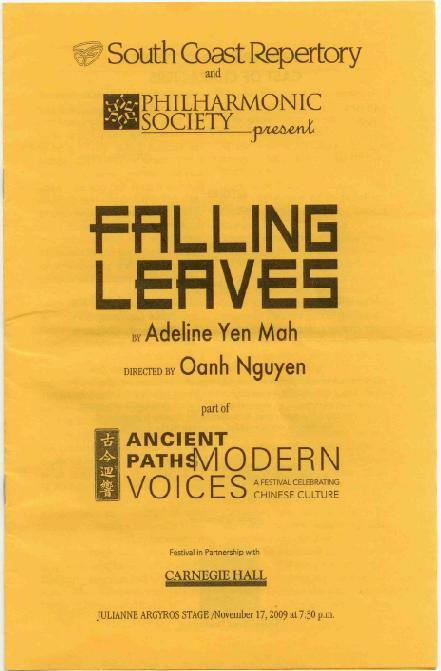 “Adeline, congratulations on the great success of your new play, Falling Leaves. It was truly a wonderful evening for all attending. I certainly had tears in my eyes while watching. Even though I have read your book and heard you speak about your book several times – it was so moving to hear the actors reading the script. One listened – and wondered at the cruelty of your siblings. How can people live with themselves and be so treacherous – especially your sister, Lydia. To think of how you changed the lives of her two children with your generosity – and then to have her turn against you. Greed and jealousy – two very powerful forces!!!!!!!!! !